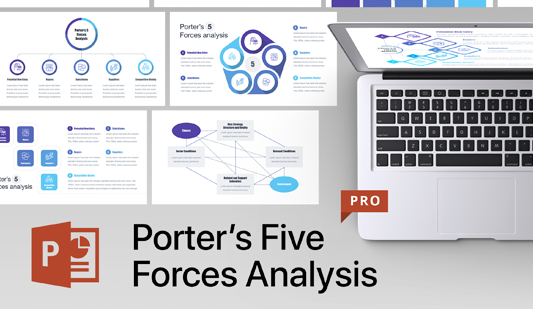 Porter’s 5 Forces analysis template for PowerPoint - Free Download! 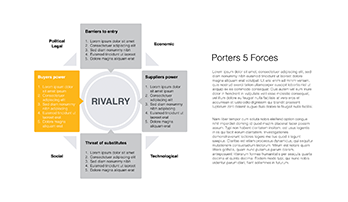 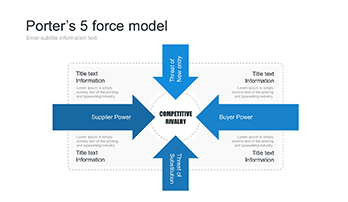 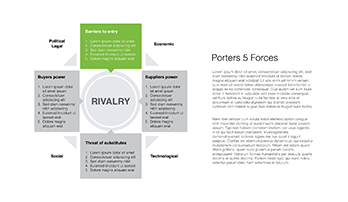 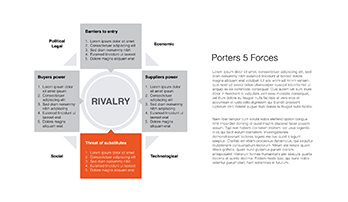 The Porter’s 5 forces model is designed for industry analysis, the purpose of which is to determine the attractiveness of the industry as a whole as well as separate markets within it. 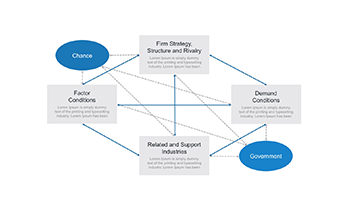 This analysis allows you to understand the opportunities and existing threats that are specific to the industry; and in addition to identify key factors for the industry’s success. 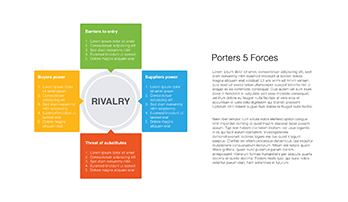 To conduct this analysis more successfully and quickly, we offer you a set of ready-made slides gather in Porter’s 5 forces PowerPoint Template section. 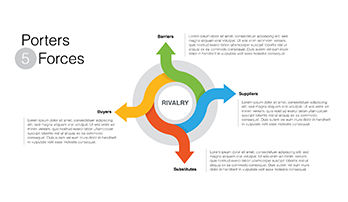 These slides let you visualize the results, present them in a clear attractive way. 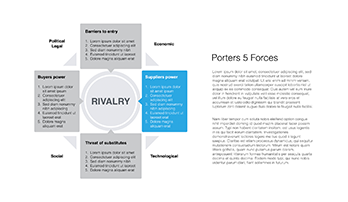 In order to successfully confront the competitive forces, it is necessary to develop a strategy that would protect the company from the action of Porter’s five competitive forces and ensure the company the creation of such a position that will give it a reliable competitive advantage in the industry. 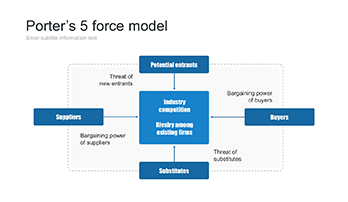 And with these slides, it will be easier to develop such strategy and find best ways to get success. 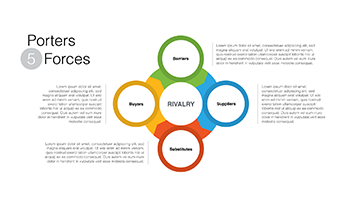 Therefore, these templates are first of all designed for businessmen, marketers, employees who are engaged in the process of sales, business development, strategy building, and other related issues.